Once you learn how to make pancakes from scratch, you’ll never buy a box mix again! 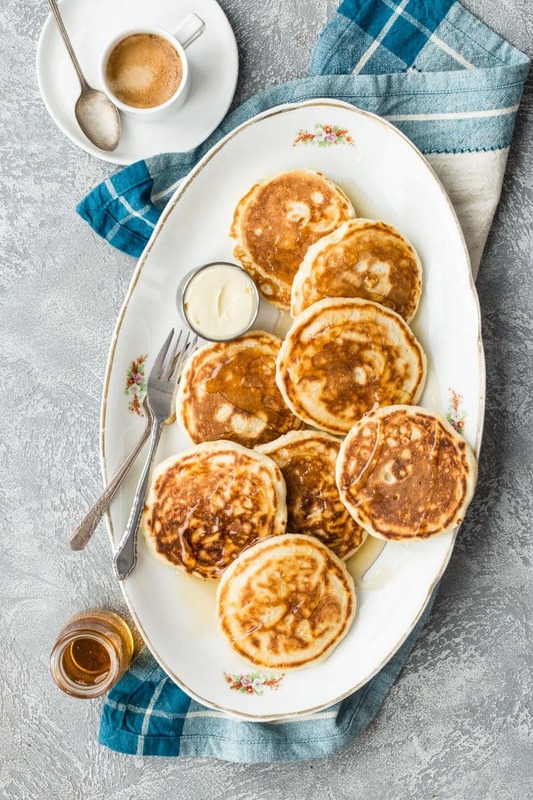 Using ingredients you already have in your kitchen, whip up the fluffiest, tastiest pancakes around, with or without syrup. I have all your variation questions covered, too! Even the one where you want to make pancakes on your next camping trip. 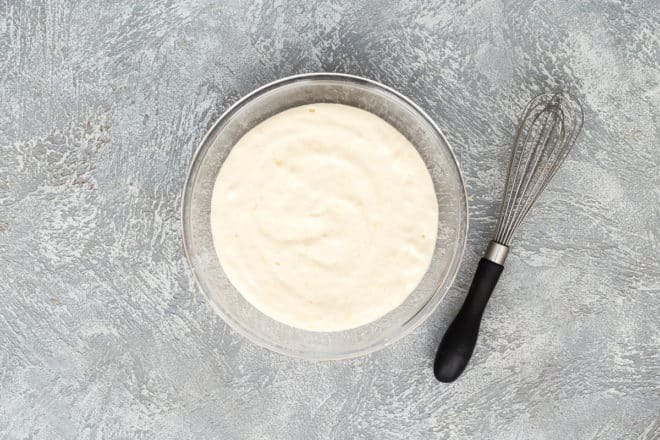 Consider this pancake batter recipe to be just a starting point for your own signature version. 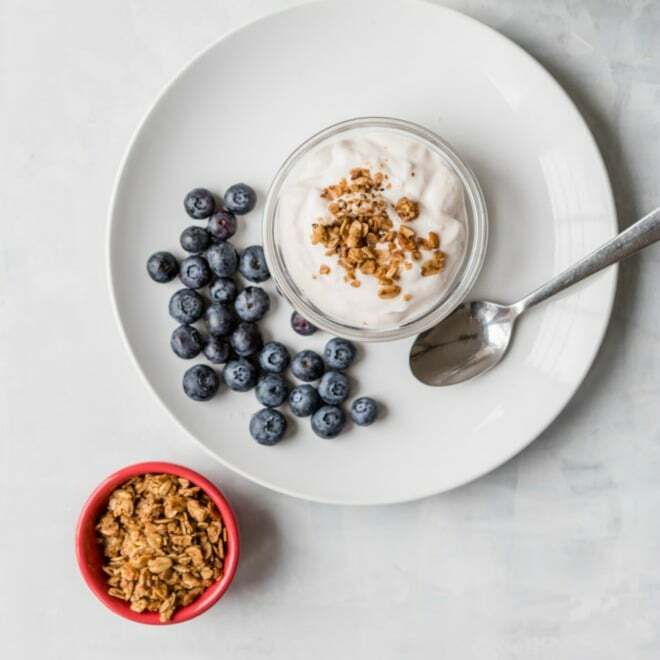 Need a dairy free recipe? Keep reading, I’ve got you covered! Need chocolate chip pancakes? Bacon pancakes? I’ve included my favorite mix-ins down below so you can make a different pancake every day of the week. Need to up your pancake quota? Click and slide the number next to “servings” on the recipe card below to adjust the ingredients to match how many you’re feeding—the recipe does the math for you, it’s that easy. 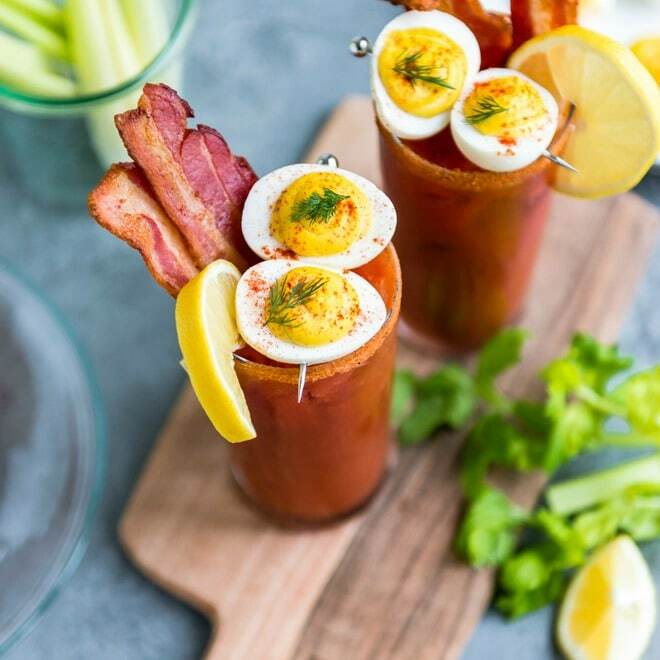 This recipe is easier and way better tasting than anything out of the box, believe me. After you sift the flour, baking powder, salt and sugar into a bowl, you make a small well in the center of the mixture. Pour the beaten egg, milk, and melted butter into the well and mix until the batter just comes together. After that, you’re ready to cook. Measure out 1/4 cups of batter onto a hot oiled griddle or skillet. Once bubbles form on the top of each pancake, you’re ready to flip. Gently turn over each pancake and finish cooking. Some syrup, fruit, or whipped cream on top and you’ve made the best pancakes from scratch, all by yourself! How do you make extra fluffy pancakes? If you have a sifter or even a whisk, it helps to sift your dry ingredients. Some cooks even insist on sifting twice. This will add air to the batter. Secondly, use room temperature ingredients, especially eggs and milk. And most importantly, do not over mix the batter. Over mixing breaks all these little air bubbles that create all the fluff inside the pancakes. 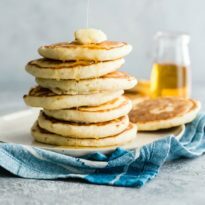 How can you make thinner style pancakes? 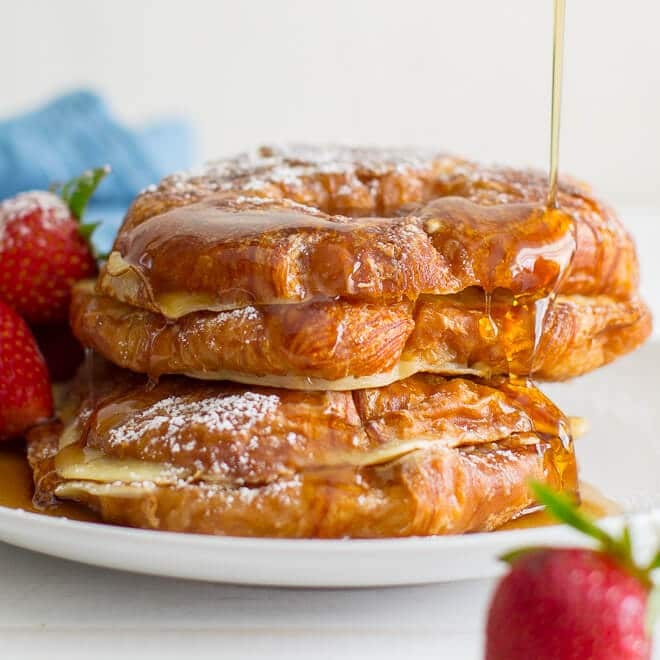 If you think the batter is too thick, or you like the pancakes to be a little on the thin side, go ahead and add an extra quarter of a cup of milk, until the desired consistency is achieved. Can you make pancakes without milk? Absolutely! If you need a dairy free recipe, this recipe can be made with nut, coconut, or soy milk. How do you make pancakes without eggs? 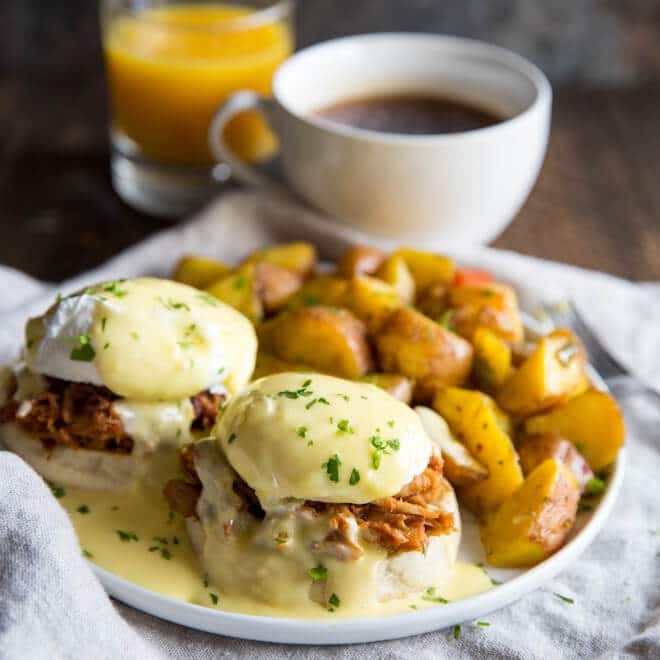 This recipe can definitely be made without the eggs, but you may need to add an extra splash of milk or tablespoon of melted butter to get the batter consistency just right. How do you make pancakes without butter? I like to use melted coconut oil, or even vegetable oil in place of the butter when I need to. How do you make pancakes when camping? This recipe is easy to mix together for camping trips. Just mix up a few batches of the dry ingredients in a zip-top bag, and pack it away in your mess kit. When breakfast rolls around, all you have to do mix the egg, milk, and butter in when the campfire griddle is hot. Can you make pancakes without baking powder? If you’re making pancakes without baking powder, try using 1 teaspoon of baking soda in this recipe instead. While it’s possible that the pancakes won’t be as fluffy, they’ll still be delicious. Can you make pancakes with buttermilk? If you’re lucky enough to have some buttermilk in the refrigerator, go ahead and use it in this recipe. Buttermilk’s acid content will make your pancakes tender and fluffy. What can you add to pancakes when you make them at home? Mix in 1 teaspoon vanilla extract, some cinnamon, or nutmeg to the batter. Add a handful of blueberries, sliced strawberries, or slices of ripe banana. Mix in some crumbled bacon and cook the pancakes in bacon fat for a savory breakfast pancake. Add a little cocoa powder and some chocolate chips to the batter to win over any chocolate lover. Sprinkle in some ground flax seeds, cornmeal, or rolled oats to keep things heart healthy. Replace the all purpose flour with whole wheat flour, almond flour, or a gluten free baking flour for gluten free pancakes. Add citrus zest and sliced almonds for an orange or lemon and almond pancake. If you’re prepping for the week ahead or you just have some extra batter, go ahead and freeze any leftover pancakes for later. Place a sheet of wax paper or parchment between each pancake and stack them together. Wrap the stack of pancakes tightly in foil or place inside a heavy-duty freezer bag and freeze. Use the frozen pancakes within 1 to 2 months for best taste. When it’s time to eat, they’ll separate easily and heat up well in the microwave. Save this How to Make Pancakes to your “Breakfast” Pinterest board! Once you learn how to make pancakes from scratch, you'll never buy a box mix again! 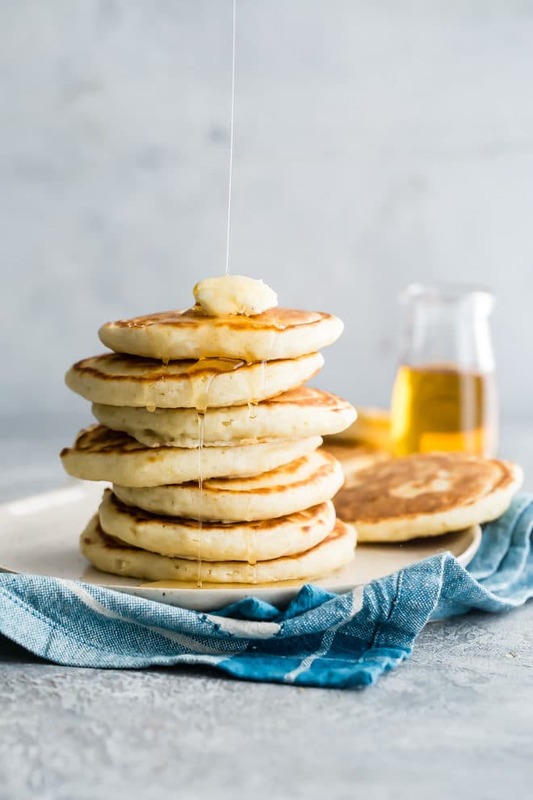 Using ingredients you already have in your kitchen, whip up the fluffiest, tastiest pancakes around, with or without syrup. I have all your variation questions covered, too! Even the one where you want to make pancakes on your next camping trip. In a large bowl, whisk together flour, baking powder, salt and sugar. Make a well in the center and pour in the milk, egg and melted butter; mix until smooth. Heat a lightly oiled griddle or frying pan over medium high heat. 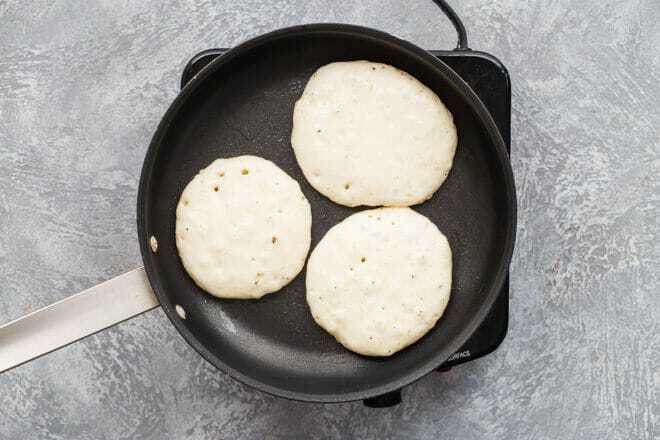 Pour or scoop the batter onto the griddle, using approximately 1/4 cup for each pancake (you should have about 8 pancakes). When bubbles start to form on the first side, carefully flip and brown the second side. Serve hot with butter and syrup or fresh fruit and whipped cream. Wow Meggan! Now there is no excuse for missing a tasty pancake brekky. The hubby & I like ours topped with a homemade blueberry syrup.